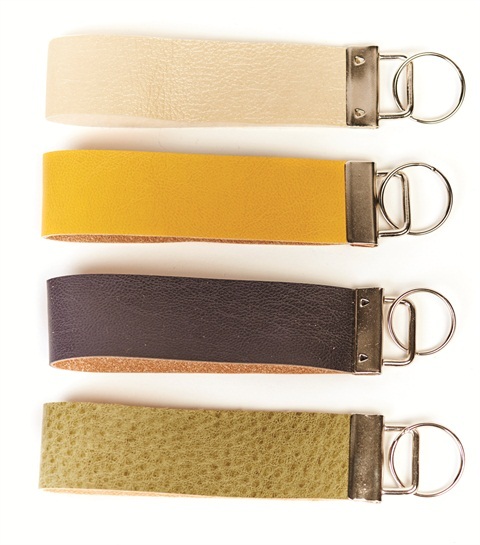 Olivia Avenue’s vegan leather keychains allow you to carry your keys in style and find them with ease. They measure about 5” long and 1.25” wide, and are available in five colors: charcoal, mustard, olive, tan, and gold. 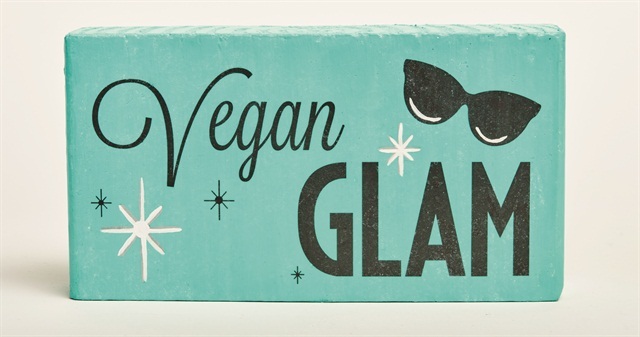 Sign Up for Love’s “Vegan Glam” sign is made by hand. A perfect way to show off your love for vegan fashion and style, Vegan Glam is part of a wider collection of cruelty-free signs focused on compassionate living. The company raises funds to rescue abused and mistreated animals in Southern California. 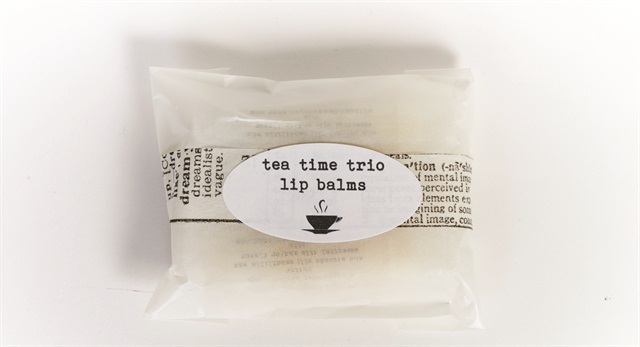 Ollie and Max Soap Co.’s lip balm trio is perfect for tea lovers and vegans alike. The set comes with three flavors: Earl Grey, Chai, and Green Tea. Your set will come wrapped in a glassine bag with decorative washi tape and tea label. 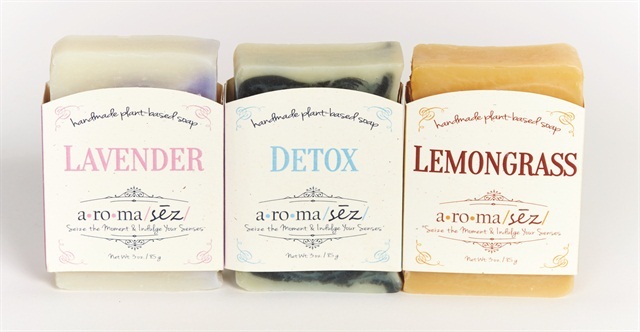 Aroma Seize is a health-conscious soap and candle company that hand-makes unique, environmentally responsible, vegan products, like these plant-based soaps. Their products are made with ingredients from the earth that nourish, heal, and protect the body and are safe for the entire family. In the Wick of Time’s candles are made from pure, U.S.-grown soybeans, and are cruelty free and Kosher certified. 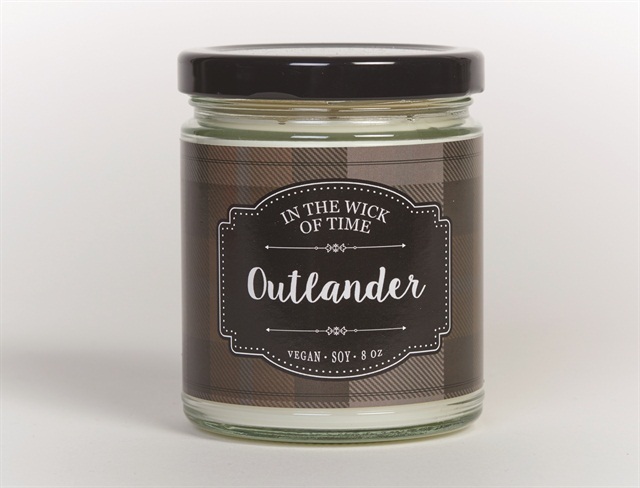 The candle pictured, Outlander, has notes of ocean water, sea salt, and heather. Other available scents include citrus, berry, and various baked goods. Each burns for approximately 70 hours. 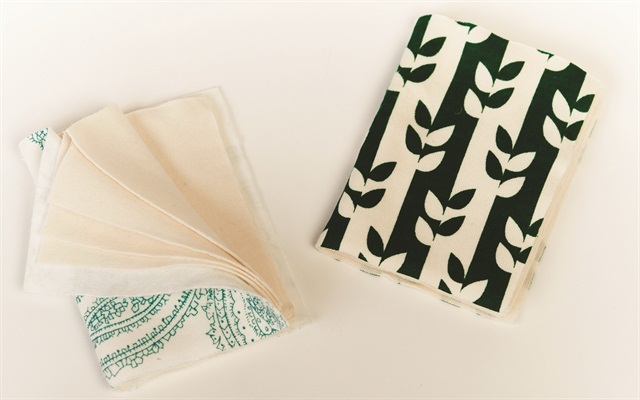 Hanky Book offers old-fashioned hankies with a modern twist. These organic tissues are reusable and come bound together in a cute, sanitary cover. Great for runny noses, exercise, or baby care, the 100% organic cotton hankies are as kind to the earth as they are to the skin. 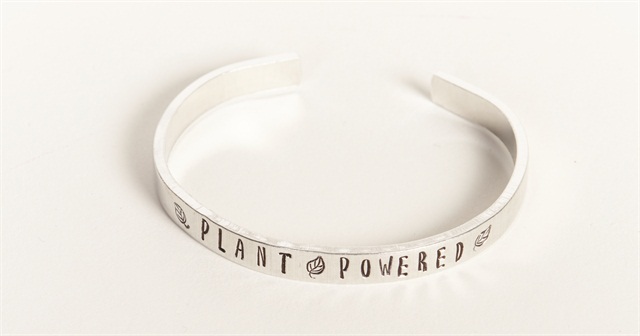 Red Pandas Closet’s plant-powered bracelet is lightweight and a conversation-starter. Made to last with only hypoallergenic material, it’s great for everyday wear and doesn’t tarnish or turn your skin green. The company produces vegan gifts and jewelry using recyclable, eco-friendly materials and processes.